Emerging leaders in the field of construction have formed a new platform for younger industry professionals called BLOC, Building Leaders of Chattanooga. 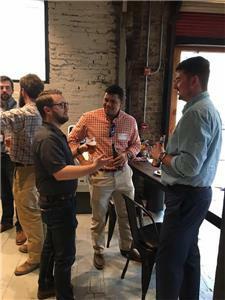 The initiative was conceived by members of the Associated General Contractors of East Tennessee to create a broad network for younger professionals who are building Chattanooga – contractors, sub-contractors, architects, engineers, planners, developers, designers, and others. Each month, the group will host a “BLOC Party” that will include tours, happy hours, discussions with community leaders, workshops and more. The first event was a social mixer at Feed Restaurant & Tavern held on March 28 with more than 60 professionals in attendance from architecture, engineering, design, and construction. Participants in BLOC do not have to be a member of AGC. “We want any professional who is a part of building in Chattanooga to feel welcome to join in the group,” said Mr. Tutton. 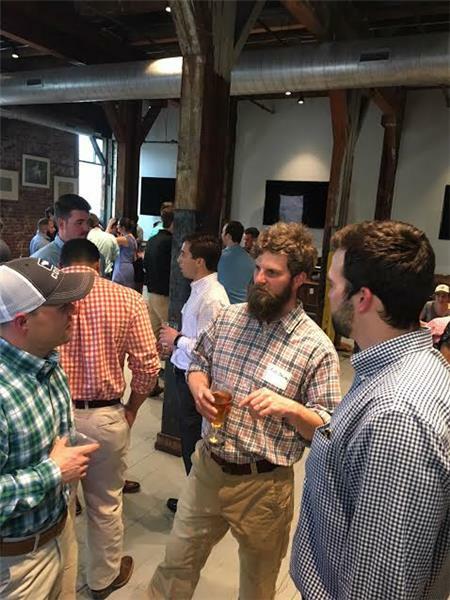 The next BLOC Party will take place at the Waterhouse Pavilion at Miller Plaza on April 25 from 5:30-7:30 p.m. with special guest speaker, Kim White, president and CEO of River City Company. Registration is required for complimentary admission. To learn more about membership and events, visit https://www.agcetn.org/BLOC/.